ST. PETERSBURG, Fla. and CHICAGO -- Minor League Baseball™ (MiLB™) today announced an agreement with ECHO Incorporated as the "Official Outdoor Power Tool of MiLB" and the "Official Outdoor Power Tool of Copa de la Diversión™" ("Herramienta Oficial de la Copa de la Diversión"). ECHO is a worldwide leader in the development and manufacturing of professional-grade, hand-held outdoor power equipment for commercial and homeowner use. In select ballparks beginning in 2019, MiLB and its teams will help showcase ECHO's range of powerful products through pregame "Power Hour presented by ECHO" events to reach potential customers -- including team operations staff, sports turf managers, landscaping professionals -- and locals with a knack for lawn care. The events will highlight the uses and functions of ECHO tools built for power, performance and value at designated "Copa de la Diversión" and other regular season games. Participating MiLB teams will also use ECHO products for field and ballpark maintenance. As the "Official Outdoor Power Tool of Copa de la Diversión" and the first commercial partner of the Hispanic/Latino fan engagement campaign, ECHO will help elevate MiLB's Copa and Es Divertido Ser Un Fan™ platforms. ECHO, its distributors, and local dealers can use all participating teams' marks and logos in their marketing communications and at retail. In addition, ECHO will feature Copa- and Es Divertido Ser Un Fan-related content across its web and social channels. The platform is specifically designed to embrace the culture and values that resonate most with participating teams' local U.S. Hispanic/Latino communities by bolstering their marketing and customer service efforts to create a culturally-relevant gameday experience. After its successful inaugural season in 2018, Copa de la Diversión will be expanding from 33 teams to 72 teams in 2019. • Collective use of Minor League Baseball's 160 team marks and logos on the local dealer level. • A presence on social and digital media through MiLB.com, MiLB.TV, MiLB's First Pitch mobile app and across MiLB and team social platforms, putting the brand in front of consumers during key lawn care seasons. • A community engagement initiative involving MiLB Charities and participating teams' charitable organizations. Minor League Baseball and ECHO will partner with youth baseball and softball organizations in MiLB communities and use ECHO products to rehabilitate playing fields in those areas. • Supporting partnership of the 2018 Baseball Winter Meetings and Baseball Trade Show this December. 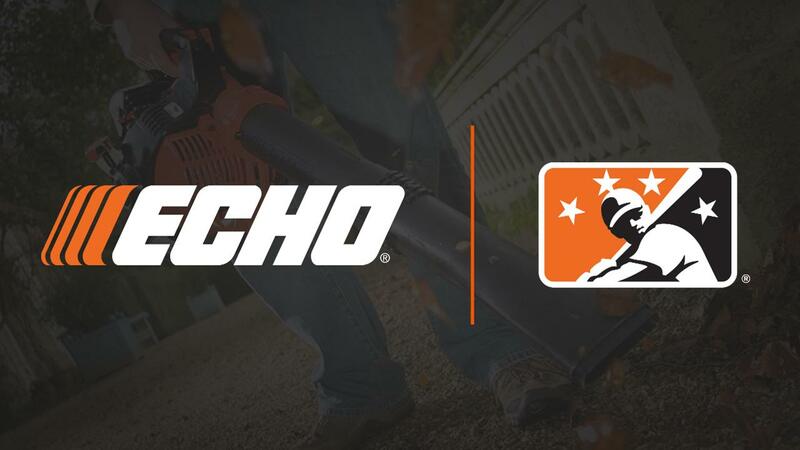 "We are proud to have ECHO Incorporated as the first official outdoor power tool of Minor League Baseball, and to integrate them into our rapidly-growing Copa de la Diversión platform," said David Wright, Chief Marketing and Commercial Officer for Minor League Baseball. "We are excited about this new partnership because it provides us a good grassroots approach to reaching our customers," added Wayne Thomsen, ECHO Vice President of Marketing and Product Management. "What better way to help people make a connection with our brand and products than joining efforts with Minor League Baseball. The fact that teams will use ECHO products for field and ballpark maintenance further reinforces the connection." ECHO Incorporated is a leading manufacturer of professional-grade, high performance outdoor power equipment for commercial and homeowner use. Based in the Chicagoland Suburbs, the corporation markets its products under the brand names ECHO, Shindaiwa and ECHO Bear Cat. To learn more about each, please visit www.echo-usa.com, www.shindaiwa-usa.com or www.bearcatproducts.com.